Hello, friends! We are on snow day #5 today, so I have tried to be productive in my pjs this week. 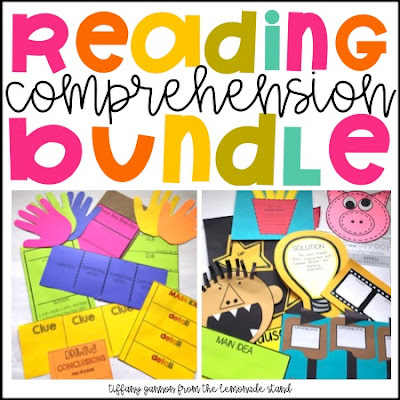 ;) I finally wrapped the final unit in my Growing Comprehension Bundle. This one might just be my favorite! 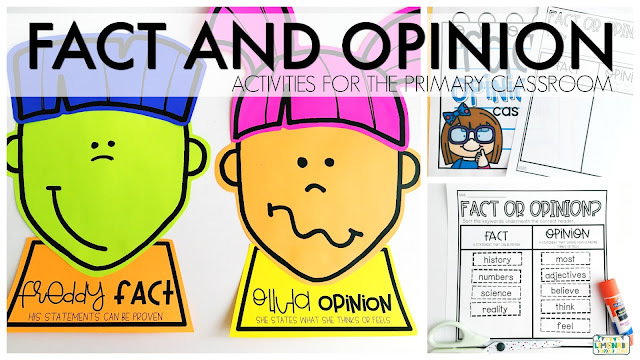 Freddy Fact and Olivia Opinion are here to help teach fact vs. opinion to your little ones! I am all about a craft, and this one is just too cute! 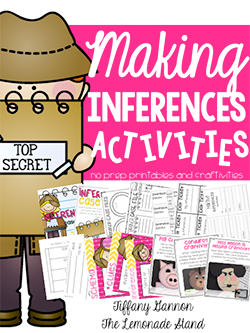 These activities would be perfect for first or second grades, especially if you are just introducing fact and opinion. Let's take a look at each component! I always open the unit with an anchor chart. If you know me, I like to prep them ahead of time. I print the chart using the poster print setting in Adobe on my personal printer. It prints on 4 sheets of paper, so you can trim and tape the pieces together to form a large poster. I then laminate it to use year after year. For this particular one, I will write statements that are facts and statements that are opinions on sticky notes and let them sort them on the anchor chart. As we learn more about fact and opinion, we can sort again and clear up any misconceptions. This is a great pre-assessment! You can also use this anchor chart throughout the week, recording facts and opinions on the chart. I always have posters displayed of the skill or strategy that we are focusing on for the week. I usually display these up front by my carpet for student reference. 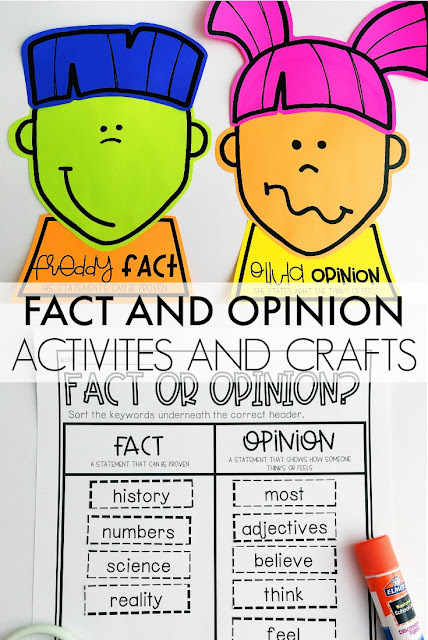 On the first, we will make these fun Freddy Fact and Olivia Opinion crafts. Students can refer to these throughout the week. You could have each student make both, or you could split it up if that's too much for one day. I always include a detective case file. You can put any applicable text inside and have students be Fact and Opinion Detectives. These are great to use at a center for continued practice! I teach my students to look and listen for keywords when referring to fact vs. opinion. Since these are little ones, I keep it simple. 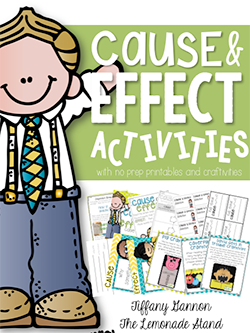 You can have them glue this in their reading journal to use as a tool throughout the week. Text evidence is important when it comes to responding to reading. 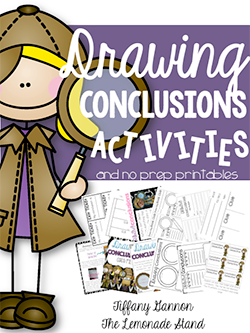 You can incorporate text evidence by going on a hunt for facts and then for opinions. I would do one the second day and another the third day of the unit. Anytime they can refer back to the text, do it! Some other fun tools are these bookmarks. My students love sticking these in their books! It helps them to keep coming back to that previous skill taught. This flapbook and mini-book are great to use with any book. I give suggestions in the pack! I love to give students pens or fun markers to use to complete these sometimes. Whatever it takes to make it exciting! Finally, I always wrap up my lessons stating what we did today and what we plan to do during the following lesson. We usually also do some sort of exit ticket or a turn and talk. These exit tickets will help you to quickly assess who is getting it and who needs that extra support. As I said earlier, Fact and Opinion is the final pack in my Comprehension Bundle, but if I do decide to create more similar to this, I will go ahead and add it to the file. 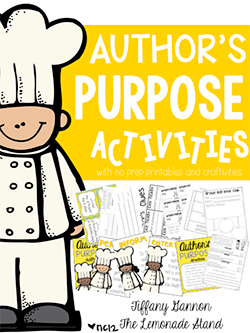 If you are looking for engaging activities to use with books you already have, you can check it out below. Have a great weekend!